How to deposit SWM tokens to the Swarm platform. To participate in investment opportunity token sales on the Swarm platform, you’re first going to need some crypto in your wallet. This is a step-by-step guide to depositing or sending SWM into your Swarm platform wallet. You can also use this guide to transfer Ether (ETH) or DAI Stablecoin (DAI). In this guide we will make the transfer using MyEtherWallet. Go to the Swarm website and click Get Started. Sign in to your account, or set up a new one. 4. Click Deposit and from the dropdown, select the Asset type as SWM. 6. You will be shown a QR code and below it a long string of numbers. This is the SWM address you will be sending to. Each time you want to deposit, confirm the address is still valid or request a new one. Copy the address. Load your wallet using one of the methods listed. If the token you want to send is already displayed in Token Balances, you can skip this part. These instructions are for adding SWM. To add other tokens, you will need their token contract address, symbol, and number of decimals. On the right of the page you will see Token Balances. 7. You should now see your SWM Token Balance displayed. You will need some Ether in your wallet to pay the fees (gas) for the transfer. In the Amount to Send field, enter the amount of SWM tokens you will like to deposit. Select SWM from the dropdown to the right of Amount to Send. MEW will display a recommended Gas Limit based on current network conditions. If it doesn’t or you want to be sure the transaction will not run out of gas, enter 300,000 or more. Note: You will only pay enough gas to make sure the transaction goes through. Avoid frustration and set the Gas Limit high from the start. Confirm your transaction by following the next steps in your sending wallet. 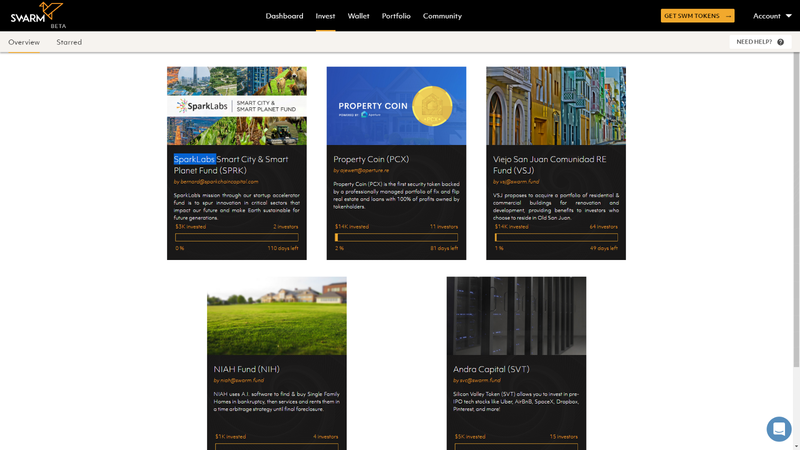 In the next guide in this series, we will show you how to use the funds you have deposited to buy tokens in the investment opportunities on Swarm.